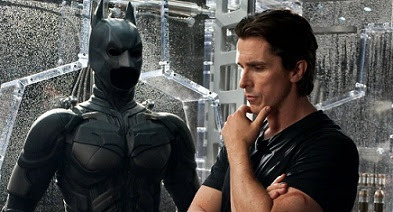 "First, Bale said that he wouldn’t do another Batman movie unless Christopher Nolan opted for a fourth Dark Knight chapter, which Nolan says isn’t happening. Then Man of Steel and Dark Knight screenwriter David S. Goyer confirmed that the Justice League’s Batman would be a rebooted character. So that pretty much closed the book." Ducard: A vigilante is just a man lost in the scramble for his own gratification. He can be destroyed, or locked up. But if you make yourself more than just a man, if you devote yourself to an ideal, and if they can't stop you, then you become something else entirely. Ducard: A legend, Mr. Wayne. Then later Batman says to Gordon, "A hero can be anyone." It isn't who wears the cowl that matters, but the Batman himself. That is the symbol. That is the legend. So when Bale says in the Entertainment Weekly article, “It’s a torch that should be handed from one actor to another. So I enjoy looking forward to what somebody else will come up with.” it is much more meaningful than just passing a role. I had an argument with some people about this shortly after the Dark Knight Rises came out. John Blake will not be the character Robin, as in the boy wonder persona, but he will be the next in line to be the Batman. The next to be the legend. I would like to throw out the option that, while he said he wont be playing BATMAN, there is always the possibility of returning as Bruce Wayne. I mean he could, however, be Robin John Blake's mentor in some small cameo. It would be a fitting part to play an advisor, Blake as the Bat and Wayne becomes Mr. Fox.